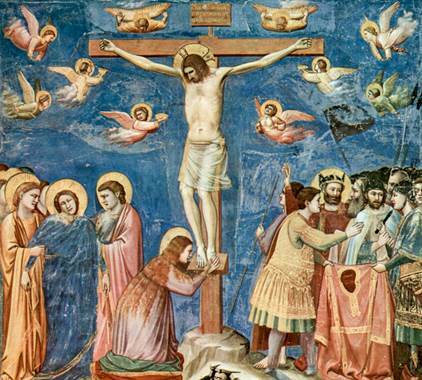 … is a venerable Holy Week devotion dating back well into the first millennium of Christianity. It is characterized by the successive extinguishing of fifteen candles—on a “tenebrae hearse” as illustrated below—as the service progresses. The three Sacred Triduum celebrations of Tenebrae (Latin for “darkness”) feature the chanting of Psalms and the Lamentations of Jeremiah in the enveloping pre-dawn darkness. 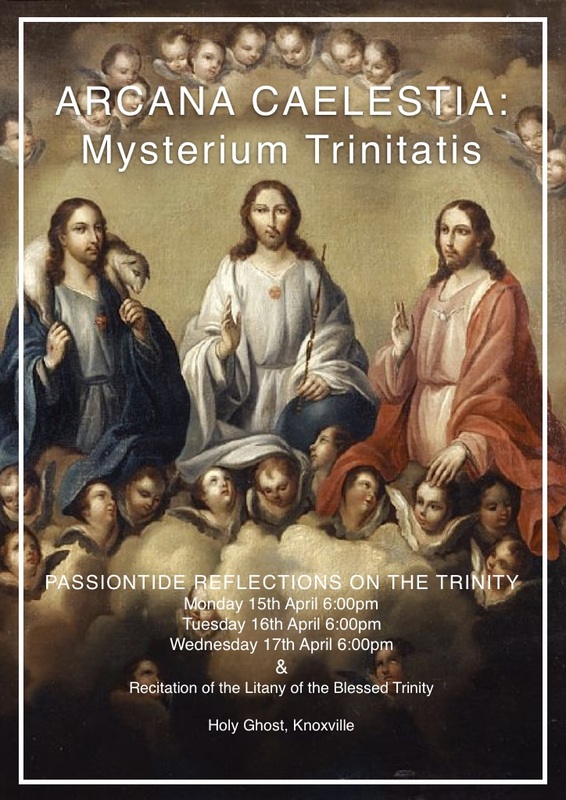 These services comprise a trilogy on the Passion of Our Lord that is regarded as a masterpiece of the traditional Roman rite. No liturgical services during the entire church year are more biblical. New Latin-English booklets will be provided at all these Sacred Triduum services. Whose Knoxville visits have greatly enriched our recent Holy Week observances. Thankfully, back with us again this year. year at Oxford University in England. Click the image to print a poster to post on your favorite bulletin board. … is not an anticipated Mass of the Resurrection, and thus does not satisfy the Sunday obligation. It is a true vigil, a “keeping watch”, rather than an anticipated Mass of Easter. So the true (traditional Latin) Mass of the Resurrection is that of Easter Sunday (at noon at Holy Ghost). … spanning the Old Testament from Genesis to Daniel, were traditionally read at the Easter Vigil on Saturday morning. Some older hand missals include all twelve of these prophetic readings that summarize the history of salvation. But newer 1962 missals include only four of these 12 traditional prophecies. So, to follow all twelve at this Holy Saturday Vigil, on the way in pick up one of the special Latin-English booklets that are provided. … will be offered again this year at Holy Ghost Church (Knoxville) at 12 noon on Easter Sunday (April 21). 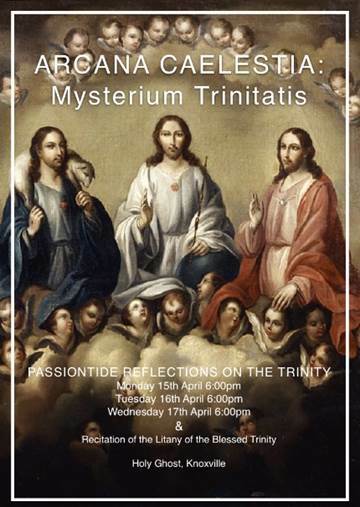 This special Mass will be accompanied by motets and sacred polyphony, with the variable proper parts of the great Easter liturgy sung in Gregorian chant and the fixed ordinary parts (the Kyrie, Gloria, Sanctus, etc.) in a choral setting by the Renaissance composer Giovanni Palestrina. All area Catholics and their friends are invited to share this festive celebration of the Resurrection of Our Lord. Click here for the Easter music program. The three 9:15 am Masses were the Mass of the Lord’s Supper on Holy Thursday morning, the Mass of the Presanctified on Good Friday morning, and the Easter Vigil Mass on Holy Saturday morning. In the case of these Masses, the “anticipation” was anticipation to the morning (rather the more familiar anticipation of a morning Mass to the previous evening). (2)Rev. Father Joseph Hamilton is a priest of the Archdiocese of Sydney, Australia, currently researching at the University of Oxford in the area of pre-Nicene pneumatology. After a moderately successful career in investment banking that took him to the corners of the globe, Father Hamilton swapped the economy of Mammon for that of the Most Holy Trinity. After studies at the Pontifical Gregorian University and the Pontifical North American College in Rome, he was ordained a priest in 2016, returning to Rome after a parish assignment to take a license program at the Patristic Institute ‘Augustinianum’, before transferring to Oxford for the DPhil. His research interests include early pneumatology, angelology and demonology. When not in a library and when time allows, you might find him sitting on a surfboard in shark-infested waters.